Abandoned prison at Portsmouth Naval Yard, originally built to house Spanish American War prisoners. Thomas Fernald plot lies directly below the prison. A highlight from a recent New England trip was getting to spend some time in and around Portsmouth, NH. The town has a rich history for shipbuilding, fishing, and as an important port for the region. More recently, Portsmouth has become a popular tourist destination, and like most of coastal Maine, the town feels a bit overrun in the middle of summer. The reason for our visit to Portsmouth was to establish a connection with one of its earliest settlers, Renald Fernald, my eighth great-grandfather. Renald (aka Reginald) Fernald came to Portsmouth in 1631 as the surgeon of Captain John Mason’s Company. He had previously been a surgeon in the English Navy, and resigned his post to come to America. In Portsmouth, Renald served in a number of official roles, including Clerk of Court, Recorder of Deeds, Commissioner, Surveyor, and was Town Clerk at the time of his death. Renald lived on his own island in the Piscataqua River, then called “Doctor’s”, and known these days as Peirce Island (also Pierce’s Island). He died in the spring-summer of 1656, and is believed to be buried at Point of Graves cemetery, just across the river from his home, along with his wife, Joanna. Their burials at Point of Graves pre-dated its establishment as a cemetery by 10-15 years, and no headstones prior to 1671 survived due to cattle that grazed the area. Peirce Island, Portsmouth, NH, site of Renald Fernald’s homestead, now a public park (sewage plant behind the trees)! 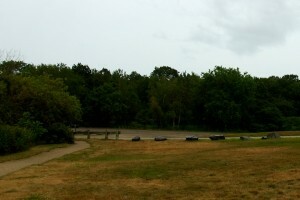 Today Peirce island is reached by a short bridge from Point of Graves, and is home to a city park, popular with dog walkers, as well as a large municipal pool. It’s also the site of a semi-camoflauged sewage treatment plant, surely one of the worst uses of picturesque public open space a city has ever conceived. Living across the Piscataqua in Kittery, Maine, Renald’s son, Thomas was an early shipbuilder. In 1645, what were then known as Puddington’s Islands were leased to Thomas by the agent of Sir Ferdinando Gorges for almost no cost (perhaps a related grant to his father, Renald). 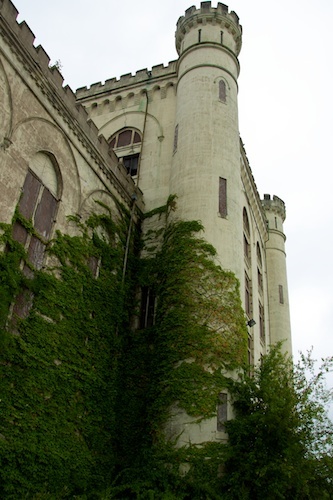 In 1671, Thomas deeded one of them to his brother William, “for the fulfilling of the last Will of our Dere father, Renald Fernald.” Known also as Lay-Claim and Seavey’s Island, Fernald’s Island later conjoined into Portsmouth Naval Shipyard, and a naval prison. It was the subject of a border dispute between Maine and New Hampshire in 2001, and is currently considered part of Maine. Point of Graves, Portsmouth, NH. Renald Fernald and wife Joanna’s burials (in 1656 and 1660, respectively) predate the site officially becoming a cemetery. Access to the shipyard, an active military facility, required some advanced planning. Nanette contacted the base’s Public Information Officer, Gary Hildreth, who generously arranged to give us a personal tour. In addition to being a PIO, Gary is also a historian, with a wealth of knowledge on the Navy Yard’s past, including some of the early land-flipping deals that brought the islands into the government’s hands. 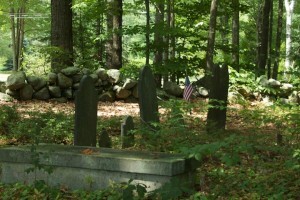 He was familiar with the Fernald history on the island, and augmented the standard highlights of the base with information specific to the Fernald history, including a visit to the Fernald family graveyard, a small, well-tended plot, with a handful of graves dating from the early 1700s. Fernald Plot Portsmouth Navy Yard, accessible only by appointment. Wrapping up our Portsmouth/Kittery visit, we trooped over to East Berwick, where my particular branch of the Fernald’s lived as farmers in the 18th and 19th centuries, before coming to California in the early 1860s. There we braved poison ivy and hungry mosquitoes in order to visit another family graveyard on private land. After foraging through the woods and ringing doorbells, we were about to give up when we discovered the plot, which included the flag-adorned grave of my 4th gr-grandfather, Hercules Fernald, a veteran of the American Revolution. Thank you for posting all of this information. I had no information about my great grandmother, Ella Maud Fernald, until a friend came across this page. I am a descendant of Renald, Samuel, Nathaniel, Nathaniel, Pelatiah, Nathaniel, William, Ebenezer Hall, Joel W, Georgia May Fernald who married a Brownell. Starting with Pelatiah’s son Nathaniel the family can be found in the Matinicus Island, Lincolnville, Hope, Camden, and Union, Maine area. All are buried in the Youngtown Cemetery. Pelatiah is buried in Easton Cemetery, Portland (formerly Falmouth), ME. I am descended from Pelatah’s son Nathaniel—Nathaniel, Nathaniel, Timothy, George Roscoe, George Albert (my father). George Rosco and his wife Mary Gould are buried in Beach (French) Cemetary, Lincolnville Beach, Maine. My father George Albert and my mother Charlotte Moore are buried in Maplewood Cemetery, Ducktrap Road, Lincolnville Beach, Maine. I had not seen the name Pelatah before, and assume that’s same as Renald’s son, Samuel (1655-1698)? I’d be interested in where his name is referenced as Pelatah. Hello Edward, I am researching the Fernald family. My connection starts with my great g.mother, Sadie Jones. Her father was Zelotes Jones, whose mother was Mary Ann Fernald. Mary Ann Fernald’s, 4th Great G.father was Samuel, son of Renald. I am researching the ancestors of Renald. Do you have any information as to whether or not Renald is a descendant of Charles VIII, the Affable King of France? My research is that the King is the 4th great g.father of Renald. Apparently, there is some controversy as to whether or not this is valid. If you have any information please let me know. Hello Bill, I have a painting here in London, UK of a village in the snow. It is enscribed on the back “From the Old Fernald House, Cor. Manning and Howard Sts., Portsmouth, N.H.
5th Great Grand son of Lt. Colonel Tobias Fernald, officer in Massachusetts Line of Continental Army. Died August 15 1784 from health complications contracted during his eight years of service. His widow, Dorcas Mc Intire Fernald remarried but it is unclear as to whom she remarried. a Fernald cousin of Tobias or Richard rogers. She had two daughters with Tobias, Juliet and Harriet. He is buried in an unmarked grave possibly in Kittery where he died. I am told if I can locate Dorcas’ burial place, I may locate Tobias. A young family, as they were, with two young children, would probably not have been able to afford a head stone. Even for an officer of the War of Independence. A shame! I am trying to locate Tobias’ burial place and then provide a proper marker. Thanks for you for sharing your information. Please contact me. Thank you so much for sharing the information about the Fernalds. I would love to hear from you as we hope to visit the Fernald “area”this Fall (2013). Thank you for your information about the Fernalds/ I would love to hear from you. I have some promising information that Renald was a descendant of King Charles VIII of France. I suppose there’s a chance that this is not true, but this article proves it’s promising. Oh wow thanks for the info. I’m just starting my research on my family tree. I guess this is the French connection my grandmother was telling me about. The names in the article you posted are all seeming to align up. That history was compiled by a Charles Fernald who was trying to make an association to the French royalty and also included relationship to George Washington. Was debunked many years ago. Vince, I am related to Renald through his son Samuel. The information that I have is: Reginald (dob 1595) – William Fernald (dob 1574) – Dr. John (Jean Furnius) Fernald (dob 1556) – Dr. Rev. FFJ Fernald/Fernal (dob 3 Mar 1533) – Dr. Jean Francoise Fernald/Fernal (dob 1497) – Charles VIII, the Affable King of France (30 Jun 1470 -7 Apr 1498). Does this information match your research? Thanks for your comment, and for the interesting reference point. I had not seen that particular source before. Given there have been numerous researchers who have attempted to trace Renald Fernald’s history, that linkage to King Charles VII looks like a bit of a stretch, though nothing close to the Charles Augustus Fernald fantasy. Renald Fernald is my 9th great grandfather. I am trying to identify his parents now that I have found this quote “He is said to have been son of William Fernald and Elizabeth Armand, but the identification rests on the spurious genealogy by Gustave Anjou.” (seehttp://www.geni.com/people/Dr-Regnald-Fernald/6000000007779517538) Anjou is also responsible for the fanciful genealogy of the Fernald family through several Kings of France, …, Alexander the Great, …. Adam and Eve. Once a researcher claims a link to Adam and Eve I think one can immediately dismiss all of his other claims! Bottom line–Have you any information of the Fernalds beyond Renald Fernald? I’m familiar with the Charles Augustus Fernald, M.D. book on the history of the Fernald family, but didn’t think that had any connection to Gustave Anjou, (although that reference you included does cite Anjou’s claim about William and Elizabeth Armand, which I’ve not seen elsewhere). There may be credible research out there documenting Renald Fernald‘s ancestral lines, but I haven’t found it (yet). who was a leutenantt in the “French” war and a colonel in the revolution. His wife Hannah Sibley was a descendant of the Warrens who were on the Mayflower. Thanks, Mary. Charles Fernald was my gr-gr-gr Uncle, and I descend from his (half-)sister, Olive, who followed him to California in the 1860s. Sounds like you have some work ahead of you, but that’s kind of the fun and sometimes frustration of it all. Best of luck. I have read many a work of fiction in regard to the Fernald family, but this Charles Augustus Fernald thing by far takes the cake. What a bunch of crazy sauce. Thanks for sticking to what has been proven. I’m amazed at how many people buy into the Charles VIII or the Annjte de Coligny stories. I can almost get behind his parent being William Fernald and Elizabeth Amand, as he named a children William and Elizabeth, but lets face it, that is far from conclusive. Fyi, Renald is my 9th great grandfather through his son Thomas. Yes thanks so much for finding this information. I have lived in the Seacoast for over 30 years and had no clue I was related to this man. I’m going to town today to find out more. I can trace the family to his son William. The Kittery library has a great piece from the Fernalds enclosed in glass. It shows William was given a “tea pot” from Queen Elizabeth, my family has a sea chest somewhere, it may be in Wolfeboro? I an a volunteer and local Docent at three Museums in Santa Barbara and have been working on a project at an old mansion that Charles Fernald built for his Wife, Hannah Hill Hobbs in 1862. I have been assigned to look thru all the books in the mansion and I am creating a data base that includes: Title, Author, Copyright date if it has one, Condition, Inscriptions and notes hand written inside the book. When I come across a book that was obviously a gift from some one I am doing research on those names as well to better understand their connections so as you can imagine it’s been slow going. Charles father is listed as Oliver and his mother as Olive and I didn’t understand the comment you made above on the web site about Olive being a half sister? of who and are you sure? The documents here indicate that Charles had 6 children – Reginald Fernald, ( a son from first marriage ) Beatrice, Edith who died at the age of 7, Reginald from marriage with Hannah, Charles Jr, and Florence that lived until she was 90 years old. All of the Fernald Children are buried in Santa Barbara at the big SB Cemetery on the ocean except Florence who is buried in a small Catholic Cemetery on the other side of town from the rest of the family. I can’t find any reason why Florence would not be buried with the rest of her family. any ideas? Thanks for your note. Charles was the daughter of Olive Heard and Oliver Fernald. Oliver was married three times, and had three daughters named Olive, two of whom died young. The youngest one, Olive Louisa Fernald (from whom I descend), was by Oliver’s third wife, Louisa Adams, and why I referenced her as his half-sister. I’ve never seen anything on Charles’ first marriage, but have not researched his life thoroughly. In some cursory work I did today, I can find no information on a first marriage, nor did I see any mention of a prior wife or child. If you have any further leads, I’d be glad to help in the cause. As to the Florence burial, no great insights there. Of course, Florence lived quite a while after her mother died, and may have converted. But it does seem rather odd (interesting also that she wanted the house torn down, so that no other family might live in it). Anything in her 1958 obituaries that might hold a clue? I descend the same line down to Clement Frenald. His daughter Lydia married Asa Green in 1805 and the my line continues through Samuel Sprauge Green from that point on. Very interested in the parentage of Renald Frenald as all I can find is William Fernald then back to the Dr. Jean/John data. I am a descendant of John Fernald married to Olive Moore who lived in Norwich Connecticut. His son John went to Peru and now we are about 500 descendants. I have been living in USA since 1957. The best info I found on the Fernald’s is the book Kittery and her Families. I’ve got a formal genealogy document, commissioned by my grandmother some 60 years ago that I’d be happy to scan and pass along to any interested parties. Contact me at ChrisDotFernaldAtGmailDotCom. Oh yeah, I’m currently living in Salem, MA. I would love to see your document. My son is working on a school project which has me intrigued. My Great grandfather was Mark Fernald from Portsmouth, NH. I have a book written by a distant cousin, Elder Mark Fernald, 1852 autobiography. My great grandfather was a descant of the Fernalds from Pierces Island. I have geneology only back to Pierces Island. 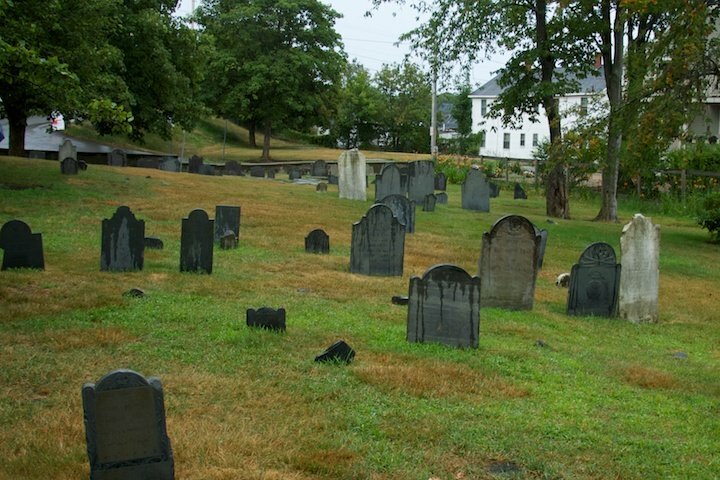 Interesting, would like to vist Portsmouth again some day, and see the Fernald House, and some of the cemetaries. I grew up in South Berwick, but have lived in NC since I was 21. I also have a diary and pictures of George Fernald, who was a POW in the civil war.